Authenticity is a word used frequently in the digital marketing space. Authenticity builds trust. Humanization is important too. People want to do business with other people not logos. I have been considering switching cell phone carriers for a long time. T-Mobile has been on my radar recently. I have only heard good things and their pricing is better than what I’m currently paying now. I still haven’t been able to pull the trigger and switch but that may change in the near future. A few weeks ago I was looking for a slow cooker recipe and stumbled across John Legere’s Instagram account . John is the CEO of T-Mobile. He’s active and posts to Instagram Stories. He also drives traffic to other social media channels. Every week he has a Facebook Live show called #SlowCookerSunday. He wrote a cookbook and the proceeds go to a charity. He frequently wears magenta and he dyed his hair magenta once too. Overall, he puts out a very positive and engaging energy. He’s a real person and it shows. When it comes to social media it can’t all be about sales. Consumers come to social media for a different experience. They do not want to be sold to at every turn. He does a great job of balancing fun content and sharing the benefits and features of T-Mobile. Being present, honest and authentic, while posting content consistently can make all the difference. It increase the know, like and trust factor. I still need to consider and research quality of service and pricing but after watching John for the past few weeks he just may have changed my mind. I have no idea who the CEO of AT&T is. But know I know who John is. From looking for a slow cooker recipe to the possibility of becoming a new customer is an interesting journey. How do you incorporate authenticity in your social media presence? leverage communication with their patrons. Facebook recently joined Ticketmaster and now makes it easier to communicate with your friends to find out where they are sitting with interactive seat maps. Interactive seat maps have been around since 2009 but the Facebook integration launched in August. It will be interesting to see what type of events will use this new feature most. For a short tutorial go here. What do you think? Will you use it? Let me know in the comments below. Reading Time: 2 minutesIn the social media world there is often too much focus on numbers. I have x number of fans or followers. I’ve reached 5,000 friends on Facebook. Please join my fan page. Social media is not a numbers game. It’s a conversation game. I think that we have a habit of liking a brand page on Facebook or following someone new on Twitter and then we forget about it,choose to ignore it or are passive. I know I’ve been guilty of this. Mashable.com reported on a new study this morning based on how consumers interact with Facebook. 77% of consumers said they interact with brands on Facebook primarily through reading posts and updates from the brands. 13% of respondents said they post updates about brands that they Like. 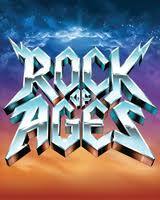 Rock of Ages is a 1980’s themed Broadway jukebox musical. The show has true fans. On a daily basis Rock of Ages interacts and engages with their fans on Facebook, asking questions ranging from 80’s trivia to questions about the show and some other stuff in between. There is not one post that doesn’t get some kind of response. They are tapping into their fans and listening to what they have to say. They are a good example of someone who is doing it right. In the beginning, it may be challenging to tap into your audience. There may be some experimentation involved and that’s okay. If something doesn’t work, don’t get discouraged. You can always try something new tomorrow.